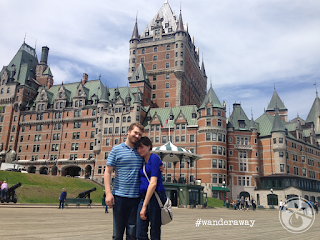 Since we were graciously given time at a resort for our honeymoon in Cabo san Lucas, we could not go on the honeymoon of our original choice: Québec. Last year for our anniversary, we also could not go, so we went to Chicago. This year, thankfully, we were finally able to go. It was a 5 day Québécois vacation; half in Québec, half in Montréal. I picked up the car from Enterprise, dropped off our rabbit, and we took off to drive through the night (something I usually try to avoid). The drive took 18 hours to get to Québec. Driving day. This sucked. It was supposed to take 18 hours, and ended up taking closer to 23. From car sickness, to construction, to car crashes stopping traffic, to even the GPS crashing and losing signal, it seemed like the Canadian highways themselves were determined to keep us from ever reaching Québec. However, I was even more determined to finally get there. Eventually, we did get there. After a 23 hour drive, and me being awake for almost 25 hours straight, we finally were able to check in at the hotel. That was not so easy either. Of course, we had bank troubles, as the credit card we originally planned on using apparently was not allowed to be used internationally (despite the fact of me checking if it could before the trip). We checked in, I changed into a polo and blazer, and my wife and I toasted to arriving at the hotel bar before going to bed. 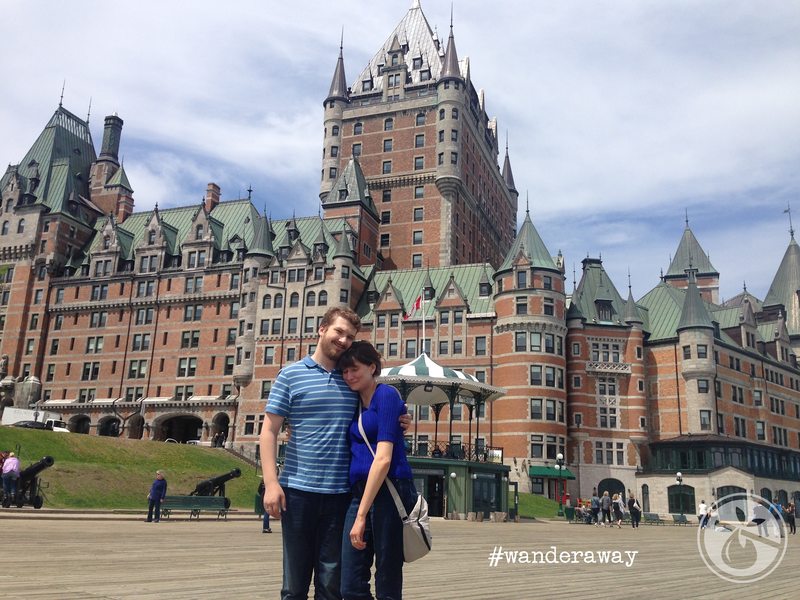 We stayed at the Delta Hotels by Marriott Quebec. A review of that hotel is available. We woke up, and immediately headed towards Old Québec. We also immediately fell in love. We spent the entire afternoon walking around the Old City: visiting the cathedrals, the Château Frontenac, and exploring the small shops and boutiques. Plus, it was great to be able to speak in French, something we do not get a lot of opportunity to back home in Central Illinois. Turns out that it was unusually warm that weekend, and it was nice and sunny this day. That made for easy walking. For dinner, we walked away from the touristy area, and found an inviting Irish Pub. Then we turned in for the night. Full details of our day can be found here. This was another travel day. This being our last day in Québec, we departed for Montréal. 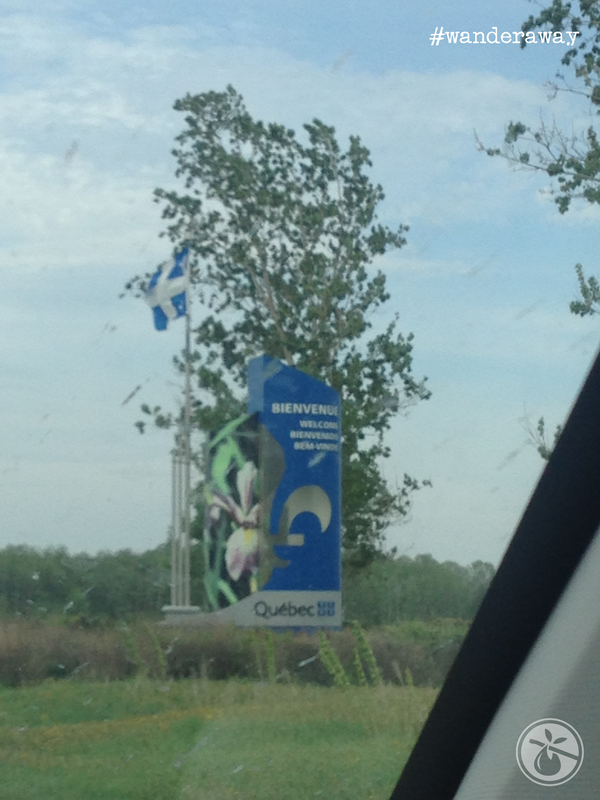 About half way there, we stopped at Trois-Rivières. We were recommended to go by my voice teacher who grew up there. Unfortunately for me, I was getting frustrated with the GPS, and simply pulled over to the nearest bakery ("boulangerie") for lunch, and then got back on the highway to get to Montréal. Sadly, this bakery was not in the best neighbourhood, and the stop made me frustrated further and not want to visit anymore of the city. It turns out that I simply needed to get two blocks more west to get to the main road and get downtown. The negative fruits of frustration. Two hours later, we made it to Montréal. The people driving there are worse than drivers in even New York. Back to being frustrated. We pulled into the hotel, turned in our car, and checked in. We stayed at the Hotel Omni Mont-Royal. It was wonderful. Here is that review. For dinner, we went to a Canadian bar, and then watched Deadpool 2. Watching Deadpool in Canada (a Canadian character played by a Canadian actor) was a completely different experience, especially with all the Canadian jokes. After a tiring day, we turned in. This day was the first day we slept in this entire trip. It was great, and very much was needed. 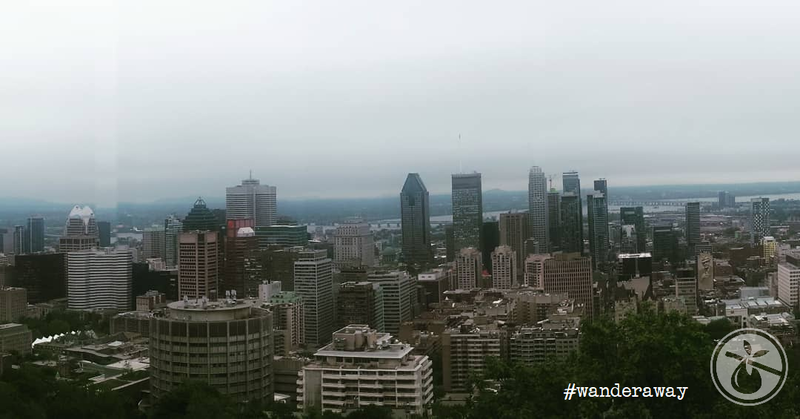 We spent the morning hiking Mont Royal, the mountain on the island where the city gets its name. We were able to get lunch and pictures of the skyline from the top. We then descended and walked over to Old Montréal to visit Notre Dame Bascilica. Sadly, they closed just 30 minutes before we arrived. So we turned around and went to dinner at a French style tavern and people watched while eating. We ended the day by visiting the hotel bar before going to bed. Thus ends our trip. We woke up, checked out, and hopped back in the car for the 15 hour drive home. This post is a part of a series. Read more of the series here. "Le Voyage de canada français"
"Delta Hotels by Marriott Quebec"